I haven’t had much time for blogging and sewing lately but I have made two cushion covers that I gave to my sister for her birthday. 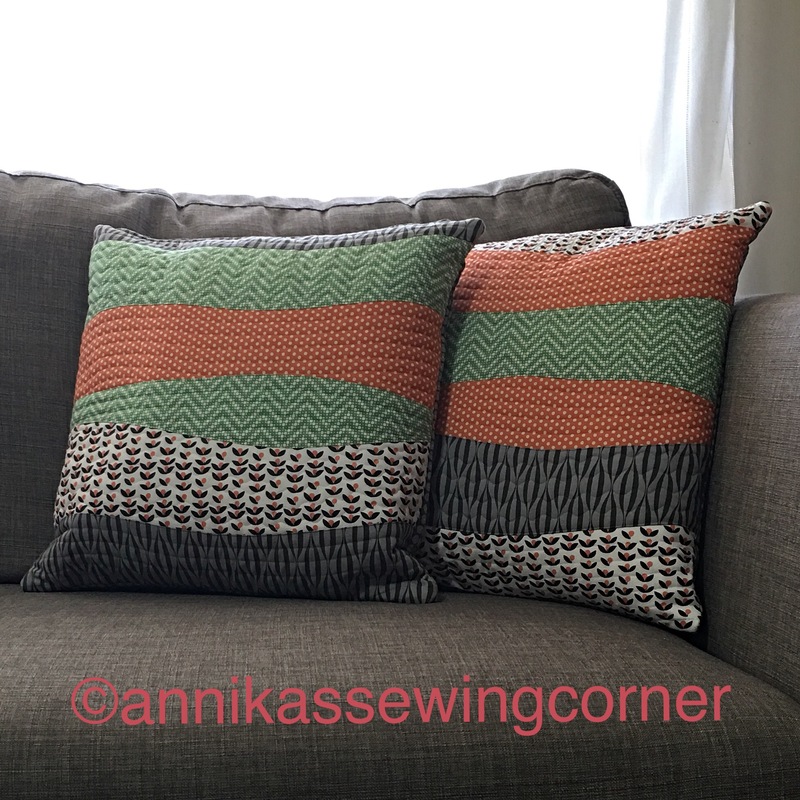 The front of the cushions are made of four fat 1/8s that I cut free hand with a rotary cutter. I placed the fat 1/8s on top of each other. I made a cut about a third from one side and took the bottom small piece and put it on top. I stitched each layer together by placing the pieces close together and make about 5 or 6 marks on both sides. Match these marks when pinning the seam. Stitch and press the seam allowance to the darker fabric . 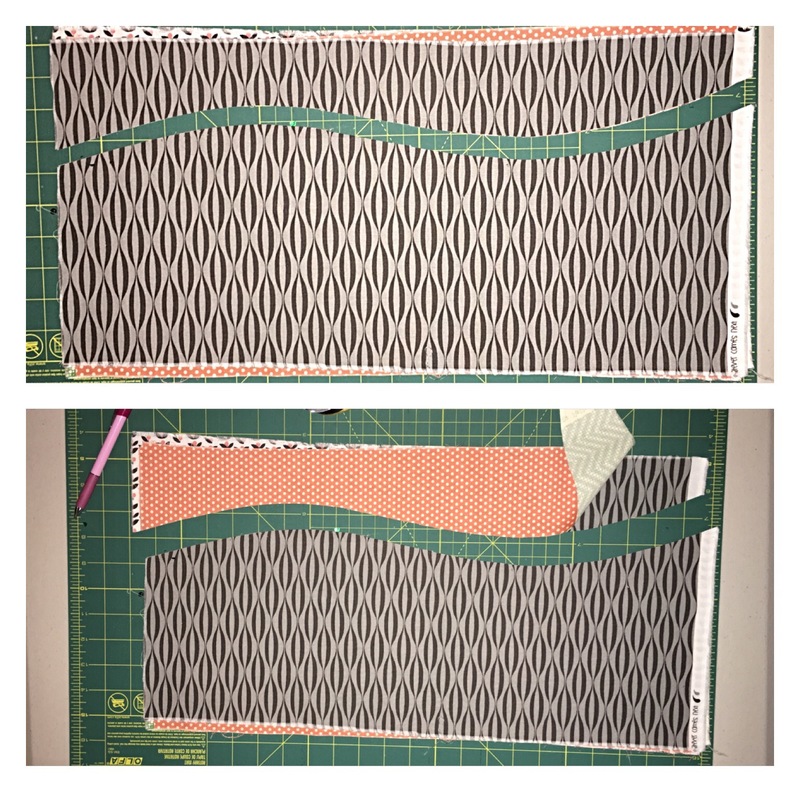 Make a second cut the same way but this time take the two bottom layers and put them on top before you stitch the layers together to get different colour combinations on all the layers. Pair them together so each colour only appears twice in each pair and it is different colours in the middle. Place the halfs so they overlap about 1/2″-1″ and make a cut on this overlap. It is a bit tricky so it’s not as wavy as the other seams. You have to try to hold the fabric still with one hand and cut with the other. 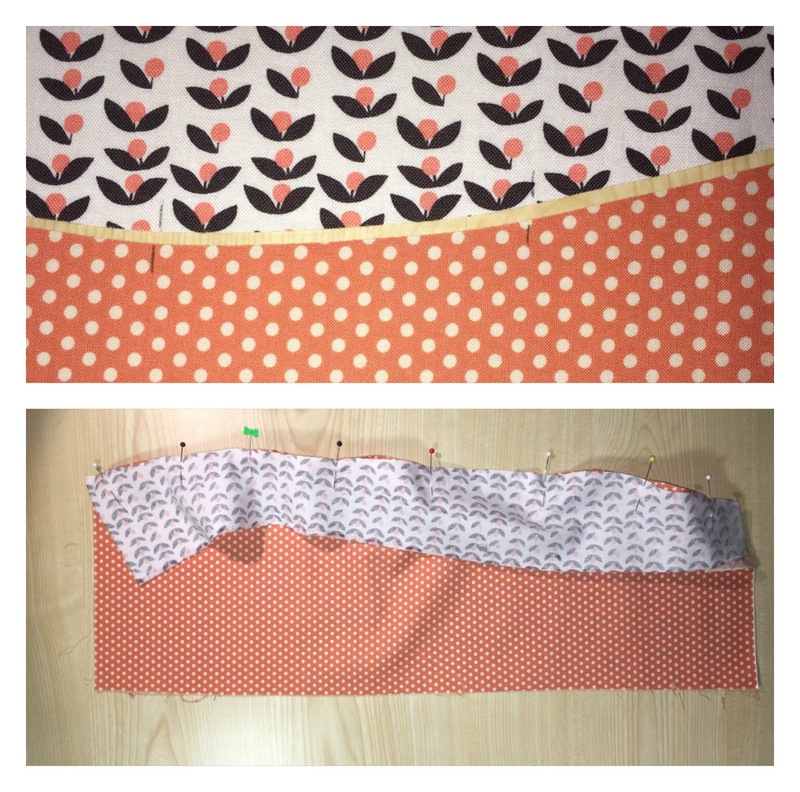 Stitch the two halves together and trim each piece to a 16″ square rectangle. 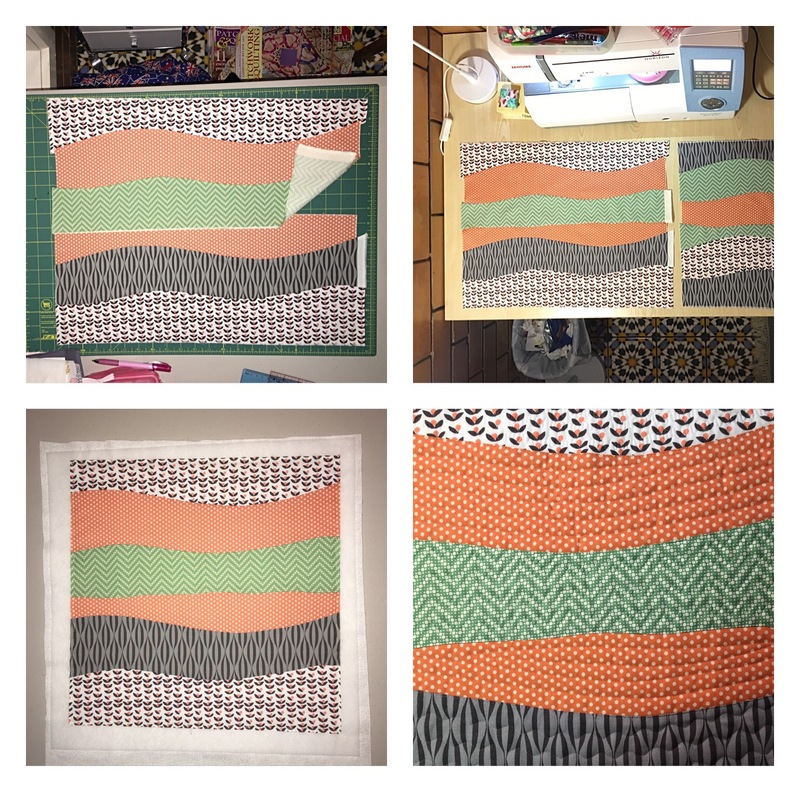 Make a quilt sandwich and quilt with a different pattern on each colour or any way you like. 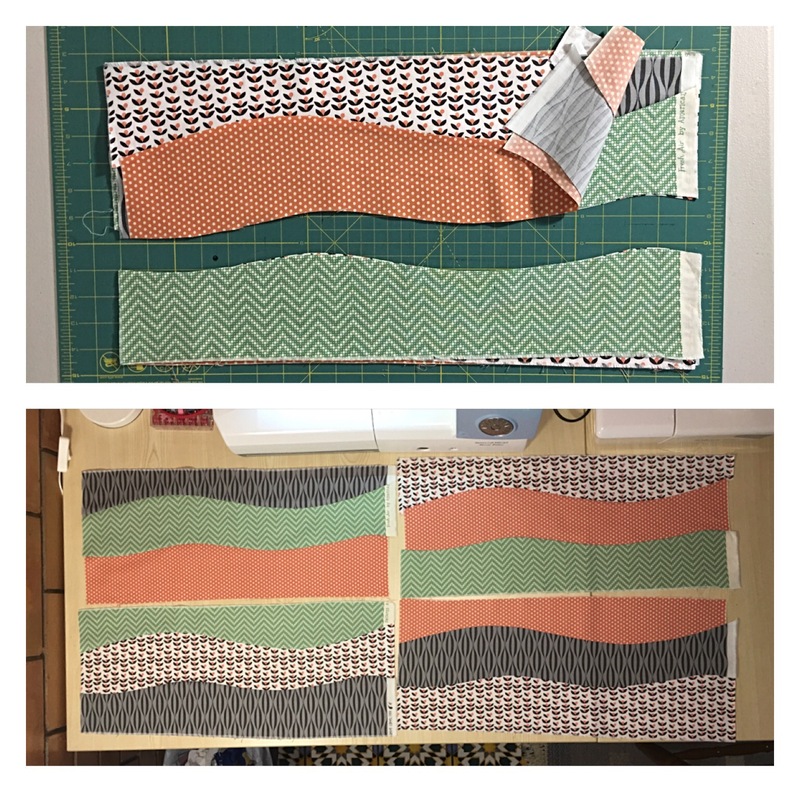 Cut out two 16″ squares of another fabric for the back. Quilt these pieces too with a wavy pattern and then trim the batting and backing even with the top layer on all four pieces. 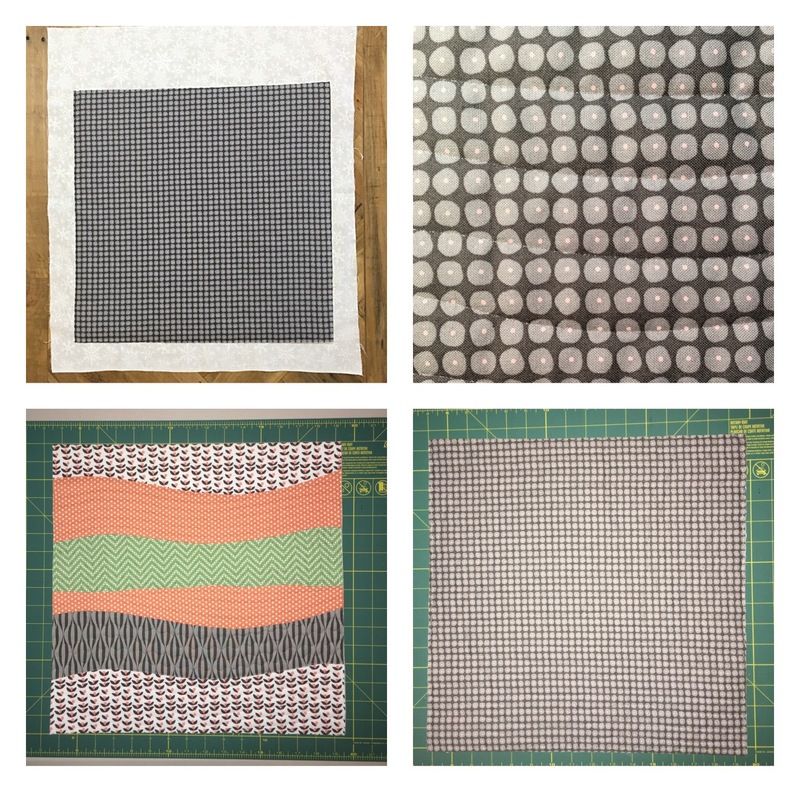 Have a look here on how to make these four squares in to cushion covers with a zipper in one of the seams. You can also download the tutorial from my tutorials page. I hope you have as much fun as I did making these. The possible combinations are endless. The next pair I make will be a house warming present in black and white fabrics. I’d love to see your creations. Until next time, happy sewing and take care!